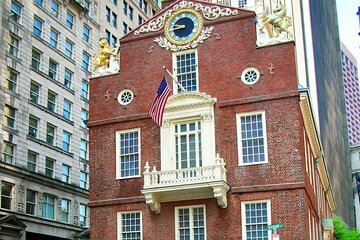 A Freedom Trail, pelos tijolos vermelhos de Boston, leva você a uma jornada através da história revolucionária, a lugares onde os patriotas protestaram contra o domínio britânico e trabalharam para formar um novo governo. 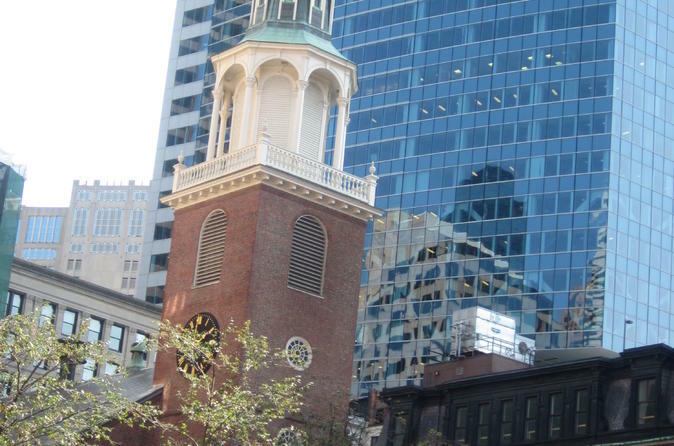 Esta excursão a pé leva você a locais famosos ao longo da trilha, incluindo o Boston Common, a Old State House e a Park Street Church. Enquanto você caminha, seu guia apresenta fatos históricos e oferece dicas para a captura de fotos. I really enjoyed the tour, but was disappointed that some sites were undergoing construction. The tour guide was very knowledgeable and made the tour interesting. We had a small group 2 ladies, 1 gentleman and out female guide. I would do a similar tour again. Fantastic and knowledgeable guide - got us to the highlights quickly, explained their historical importance and most fun of all - provided some tips to photographing them from different perspectives. Stand here, look there, do this with your camera settings, or on your phone and voila! a nice collection to share at dinner with your friends. I would do this again in another city. We very much enjoyed this trip. Saba was excellent. I really enjoyed her guidance in enhancing my photo taking skills and she was very informative about Boston and its history. Saba the guide was very helpful with both photography hints and with historical information as well. Tour started and ended on time, which was helpful for me. Overall was very enjoyable. It was shorter than I expected as the Freedom Trail is a lot longer than we walked. Our guide was very nice and gave us great tips on taking pictures that I used all throughout my trip. Enjoyed seeing the cemetery and the history around that the most! Our tour was absolutely wonderful. My husband, myself, and our 8 year old granddaughter, thoroughly enjoyed walking the Freedom Trail with Saba, while learning the details and stories of the historic places we visited. We got some amazing shots and learned a bit about photography along the way. Given that it was just the 3 of us, Saba was able to really make a connection with our granddaughter, making it a very memorable experience for her. We were also extremely grateful for her flexibility in rescheduling for us when the weather took a very nasty turn making it impossible to do the tour at our scheduled time. One of our favorite events from our Boston trip - WELL worth the money! Our group was small so we had a lot of personal help with taking pictures. She had wonderful history to share with us. The best thing we did while we were there. Very knowledgeable tour guide who made our tour very interesting. Lots of interesting stories and tips on photo taking. Super tour! I loved all of the history!